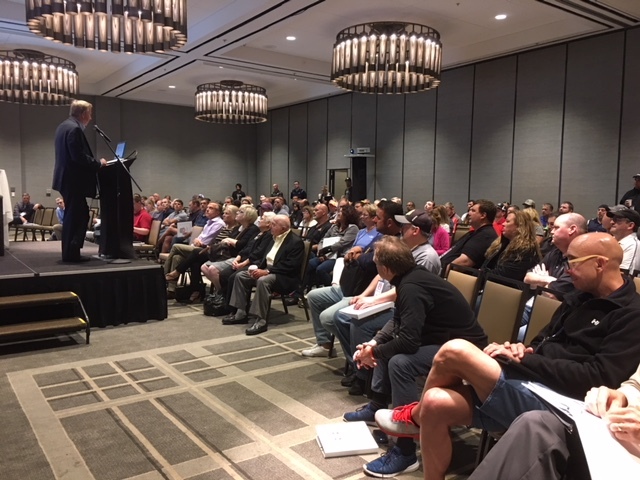 The revamped AHAI Annual Meeting, now known as the AHAI Association Leadership Conference (AALC), set a new record with nearly 200 affiliate club presidents, board members, registrars and hockey directors in attendance. AHAI extends a huge thank you to all the organizations that sent representatives to take part in a variety of discussions and topics. This is the Illinois hockey community’s event and you made it your own with in-depth conversations around club administration, high school hockey, girls hockey, and club communications to name a few. The well-attended event featured several notable USA Hockey speakers – Phil Osear, USA Hockey’s Goaltender Manager led our Goalie Development breakout session, Dan Jablonic, USA Hockey ADM Regional Manager led discussions on Player Development and Kevin Erlenbach, USA Hockey’s Assistant Executive Director of Membership led discussions on Grow the Game initiatives like the 2 and 2 Challenge and Try Hockey For Free Days, as well as Club Excellence. AHAI and our affiliates were fortunate to be joined during our Town Hall by Spencer Montgomery and Laura Jordan, representatives from the Chicago Blackhawks Youth Hockey and Fan Development department. They introduced affiliate leaders to the NHL’s Learn to Play initiative along with other grow the game programs they spearhead. Finally, several key sponsors joined us for the day including IntelliGym, SportSight, and Athletico. The conference began with outgoing AHAI President, John Dunne, and USA Hockey President, Jim Smith, addressing the audience. The conference closed with USA Hockey Disabled Section Chair, JJ O’Connor, reminding attendees that the great game we are all involved in is as much about creating lasting memories as it is about playing. Along with a few By-Law changes, the election of 5 board members was conducted. Returning for another term are John Dunne, Keri Zschach, Gregg Chudacoff, and Gino Cavallini. Joining the board as a newly elected director is Anita Lichterman. Congratulations to all and thank you for giving your time to our great game. Lastly, a huge thank you to John Dunne (pictured left) for his tireless effort and dedication to Illinois hockey over the past several years. Though he leaves the role of President of AHAI, he will continue his volunteer efforts as the Illinois Referee-in-Chief and Supervisor of Officials. We are glad he is providing his skill and expertise to our hockey community in this new role. 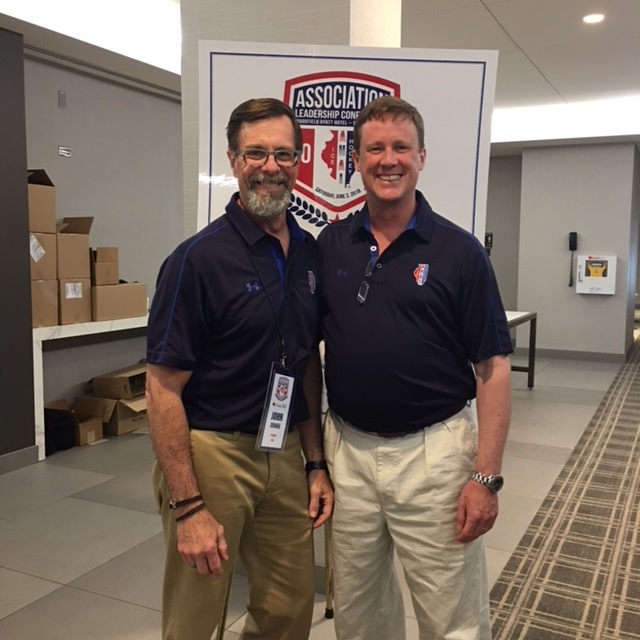 With that, we welcome Mike Barrett (pictured right) as the new AHAI President. We know Mike will continue to work in the best interest of our hockey family and provide the leadership necessary to move us forward in the coming years. Thank you to all who attended for making the conference a great success. AHAI appreciates all you do for your associations and the hockey community at large.